The doughnut wars are heating up around greater Los Angeles, as San Diego transplant Donut Bar has officially opened its doors in Old Pasadena. The Colorado Boulevard newcomer is up and running with a slew of unique menu creations, Instagrammable art installs, and those requisite neon hashtag signs. Donut Bar seems to have started up sometime late last week, keeping hours from 7 a.m. to 5 p.m. daily. And while the company does not yet list the opening on their own website, Yelpers have already found the place. 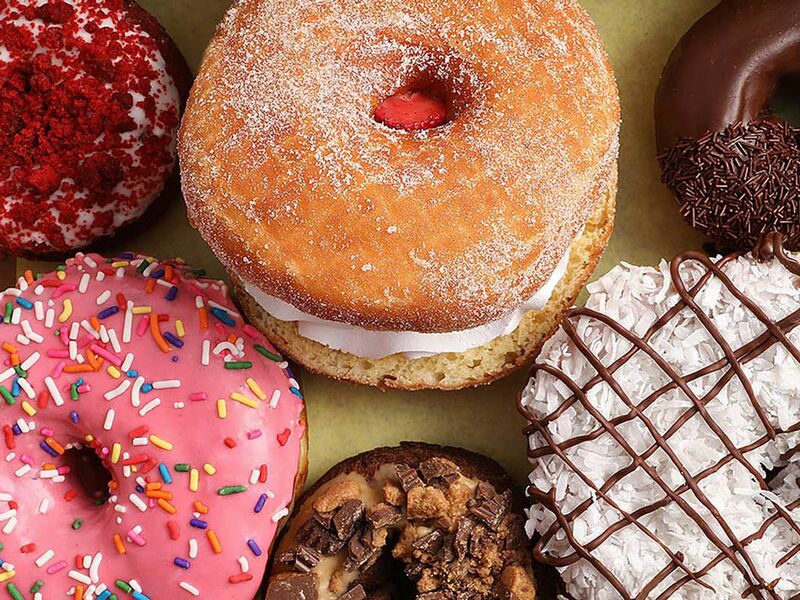 Of course, the opening isn’t entirely a surprise — Donut Bar has been on a franchising warpath of late, locking in deals for new locations from Pasadena to Burbank, Riverside, Sacramento, and even Scottsdale, Arizona. The company previously had an Orange County location as well, but that has since changed hands. Meanwhile back in Los Angeles, the new Donut Bar faces some pretty stiff competition. Not only are there big names from other cities (Sidecar Doughnuts, Blue Star Donuts, even Voodoo Doughnut) taking up a ton of market share, but popular local options like the newly-expanding Donut Friend and the timeless classic Donut Man in Glendora are also still doing brisk business. That said, Pasadena is certainly open to trying something new, as evidenced by places like Crack Shack (another San Diego transplant) and Me + Crepe, which has been turning out some amazing jianbing of late. Donut Bar. 445 E. Colorado Blvd., Pasadena, CA.